The Turkish mobile network operator has become the first in the world to offer its subscribers the ability to make payments with their NFC-enabled BlackBerry mobile phones. Turkish mobile network operator Turkcell has added support for the BlackBerry Bold 9900 smartphone to its Cep-T Cüzdan NFC mobile wallet service, making it the first carrier in the world to enable its subscribers to make mobile payments using the NFC functionality built into the latest BlackBerry phones. To use the service, subscribers with a BlackBerry Bold 9900 smartphone need to have a MasterCard issued by one of three leading Turkish banks — Yapi Kredi, Akbank or Garanti Bank. They then visit their local Turkcell store to obtain a replacement NFC-enabled SIM free of charge, download the Cep-T Cüzdan app and tie their MasterCard to their account. Subscribers can then use their phone to make a purchase at any merchant equipped to accept MasterCard PayPass contactless payments in Turkey or abroad. Turkcell launched the Cep-T Cüzdan service in conjunction with Yapi Kredi Bank in May 2011, using SIM+antenna add-ons to standard mobile phones. The carrier has since added customers of Akbank and Garanti Bank to the service, as well as the T20 NFC phone, co-developed with Huawei. 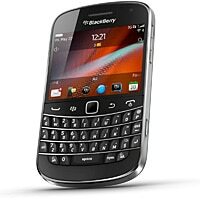 Why is my Blackberry 9900 not operational for NFC??? ?